Tonight on Beyond Worlds – the incomparable Tarot Goddess, Mary K. Greer!!! Mary, me and Donnaleigh will be talking about Blogging the Tarot. What’s the difference between writing books and blogging? What makes someone go back to a blog? How has the internet changed the experience of Tarot? Who does Mary bookmark? 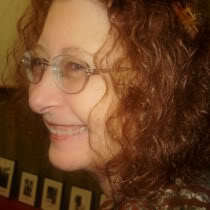 You are currently reading Beyond Worlds with Mary K. Greer at The Tarot Room.